I’ve heard it said before that a book is never finished—I’ve even read interviews with authors who say they are marking up their book and editing the pages even after publication and right before a book reading event in front of an audience. I do the opposite. I have a tendency to work on a project for a long time, grow frustrated with it, and put it aside. For years. I finally decided to bite the bullet this past year, and after one final round of editing, began submitting a contemporary YA manuscript (with paranormal elements) to agents. The first few responded pretty quickly. “I’m not connecting with these opening pages enough to want to read more . . .” “It’s not so much the crafts as a gut feeling I’m not getting . . .” I knew I needed to stop sending out queries and take a step back. I thought I needed to get my opening pages and synopsis professionally critiqued so I made plans for that. And then . . .
Luckily, I stumbled upon this blog post where Sioux reviewed the book Save the Cat! Writes a Novel by Jessica Brody. After listening to a fellow “pantser” talk about how the book helped her become a successful “plotter,” I ordered the book. I was planning to use this to get me out of a plotting rut I was in on my second YA novel, which I wrote several years ago during NaNoWriMo. About two chapters in, I had the biggest AHA! moment of my life. The protagonists in both of my novels lacked motivation, and if we’re to be honest, a bit of personality. They each needed something that drove them, that they were obsessed with. I halted the editing of my first novel’s opening pages and synopsis and got to work. 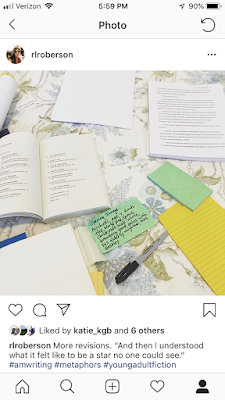 I spent all last weekend plotting, putting Post-It notes on the wall in my timeline, sketching out scenes, and cutting my original opening pages in favor of new ones. Now, we have a character people actually care about, and lo and behold, two new important characters showed up out of nowhere (bu trust me, they make sense!) and have breathed new and interesting life into this novel. I even had a whole scene come to me while I was stuck in the exam room in my eye doctor’s office, sans my contact lenses, blind and helpless to do anything but try to voice text the idea into the notes on my phone. Every day I’ve struggled through my daily tasks at work so I could get home and get back to the manuscript, where I’ve written almost 2,000 new words. I hate that there are still submissions hanging in the balance with the old version of this novel, but I’m not sending any others out until these new opening pages (and the rest of the book, if we’re to be honest) and synopsis is fixed. It’s exciting to be re-energized on a project I’ve almost given up on many times. But when you hear words like “intriguing premise” and “you do write well” from agents, it’s motivation to fix what needs to be fixed and keep going. I’m glad I learned this important lesson before I got too far down the submissions road. Have you ever had a moment of clarity with a writing project? How did you get through it? Renee Roberson is an award-winning writer and editor who also works as a marketing director for a nonprofit theatre company. Learn more at FinishedPages.com. If you need her, she’ll be revising. Renee--Several years ago (4? 5?) I finished a manuscript. It was real and it was NOT spectacular (a Seinfeld reference, guys). It was a dump of emotions and angst and bitterness. I thought it was a compelling story but--in my heart--I knew it was a hot mess. I had several people say I could salvage the memoir parts (it was memoir thinly disguised as fiction), but I just hid it away, and like it was a hit and run accident, I got away from that horrible thing as fast as I could. Good luck (not that you'll need it ;). Been exactly where you are now. I pulled a manuscript after the first couple of rounds of agents had lukewarm comments AND I asked my agent to pull a second manuscript when we were getting a similar comment from enough editors each time. Both circumstances were the right move; the first manuscript, I work on and off on it but I'm not sure it will ever be publisher-ready. The second manuscript I sent to a pro editor and maybe one day, I'll be able to work on it (it has a strong connection to Mister Man). For me, it was time to start on the next manuscript. It's gone out to beta readers and I still need to make a few minor revisions and it'll go out. Meanwhile, sounds like you're back on track, Renee! Trust your gut and good luck! This is so exciting Renee! I love how taking a step back and taking a new approach with your novel led to this breakthrough. I'm on the short story but taking time to distance myself helps me a lot. It helps me get fresh eyes! I just finished Save the Cat Writes a Novel this morning, and I agree with you and Sioux--it's fantastic and an amazing blueprint for novel writing. Luckily, I'd already structured my memoir that way. Probably because that structure has already been drilled in my head ever since I used Dramatica software back in 2005, where it forced me to shape my story into the hero's journey (and Star Wars). Lol. But Jessica's book breaks it down in such friendly language and has very specific, modern examples. I'm having a little problem with the "genres" though, because mine is a cross between "Rites of Passage," "Institutionalized," "Dude with a Problem," "Buddy Love," and "Golden Fleece"...and I'm hoping that's because it's a memoir and not because I have multiple personalities. 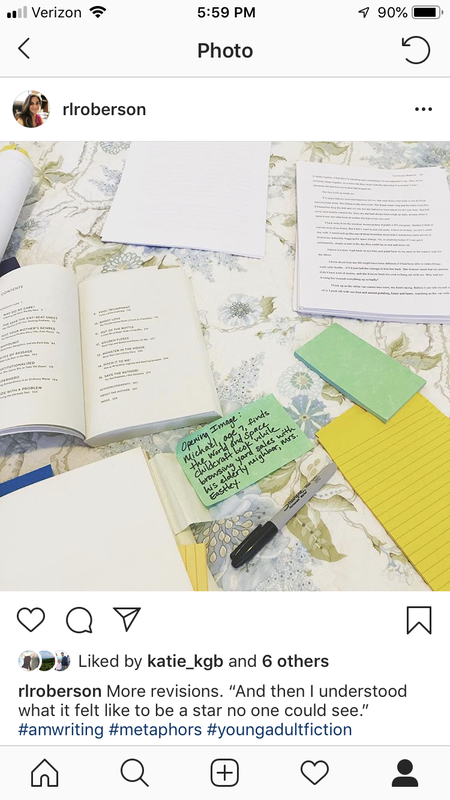 I'm going to break out the Post-Its this week and find out more! It's gettin' real! :) I can feel your passion, Renee, and I bet your newfound insight will take your novel to agented! Sioux--I've definitely had some short stories I've walked away from. I think they were similar in that most of them provided me with a sort of therapy in a way, and served their purpose at the time. Even if that is what your first manuscript did for you I would consider that a blessing! And I agree that you may be able to salvage some of it for a memoir one day. File it away for another time! Cathy--You sound like me in that you could tell by the responses that something was missing! I think in these types of cases it's best to take a step back and evaluate the responses before burning bridges with a whole slew of agents and publishers! Those are precious connections and we must not waste them, ha ha! Nicole--I really think the right resource came into my life right when I needed it. I'm a visual person and need concrete examples and the Save the Cat! Writes a Novel book broke apart so many novels that I've read and loved and it made me realize all the things that were missing from both of my manuscripts. I think a lot of times short stories are different because they don't necessarily need to follow a standard formula. But I've also had to walk away from a few of them before coming back with the right types of revisions! Angela--I remember getting frustrated with the Dramatica software back in the day because I DIDN"T want my story to be like Star Wars, but now I realize that's how A Hero's Journey flows! I think it's pretty cool that you are seeing so many genres in your memoir--I don't think it means you have multiple personalities :-) However, you may find more than one memoir in there. I bet you'll find out once you break out the Post-it notes! I've had a plot problem for a long time with an old novel I also wrote during NaNoWriMo, and just the other day had a sort of epiphany! Good luck, not that you need it, and I'll be working on mine with the hope of sending it out soon!